Going on a holiday in the Philippines usually means hitting the beach or heading to the usual spots. However, the Philippines offers much more than just lovely white sand beaches and mountain resorts. In fact, some of the best trips you will ever take in this country involves going off the beaten path. Here, you will find wonders unspoilt by human contact and truly beautiful to behold. Think of it as stepping into a different world. Now, this could have simply been the Kapurpurawan Rock Formation located in Ilocos Norte, but Biri makes this list because of the rather adventurous ride you take just to get there. This is not saying that it isn’t adventure-filled to get to Kapurpurawan, but with the Biri Rock Formations, you need to hop on a boat and navigate through rough waters in order to get here. The waters of Samar and Leyte are notorious for being rough and it it’s quite normal for everyone to be silent on the boat ride. 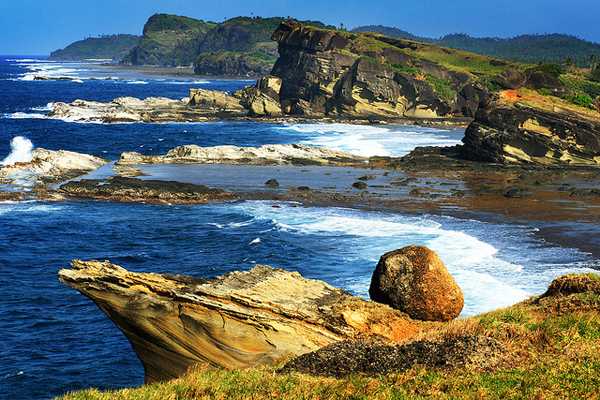 But all the stress from the journey is immediately shaken off once you see the marvelous rock formations on Biri Island. Biri Island is about an hour boat travel from the fish port in Lavenzares, Northern Samar. You get to Lavenzares by way of Catarman. When you get to Biri, you can hire a motorbike to take you to the rock formations. And yes, note the use of plural. There are seven rock formations in all and each with it’s own unique beauty to appreciate. Cuyo makes this list not just for its remoteness, but for the simplistic beauty and laid-back nature of the place. The island received much recognition thanks to an independent Filipino film called “Ploning” which starred Judy Ann Santos, a noted Filipina actress, and was filmed entirely on the island. One of the striking features of the town is the Spanish fort that was built during 1677 in order to protect the town from Moro pirates. Before, you could reach Cuyo through air, but the only route to the island by air ceased operation in 2008. Now, you have to take a journey by ship from either Puerto Princesa or Iloilo. Since waves around this island tend to get rough, the best time to visit here are during the dry season. Other than the old fortress-church, you can go beach hopping as the island has lovely beaches in Capusan Beach, Quijano Beach and Tabunan Beach. Waterfalls, bike and hike trails, and unique flora and fauna are what you can expect to see in the lovely town of Adams in Ilocos Norte. 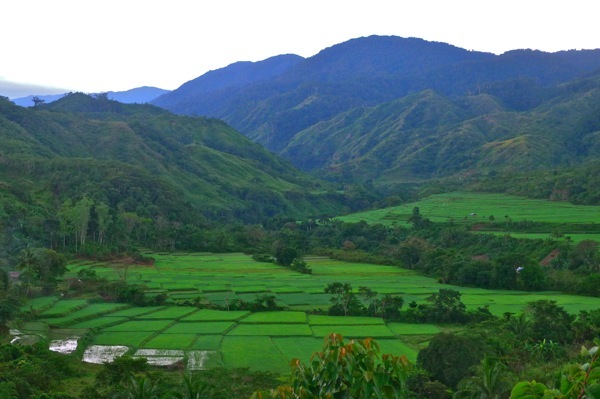 Lying east of Pagudpud – which is another touristy destination in Ilocos Norte famed for its beach – Adams is mountainous and is raw beauty at its best. Adams was named after Adam of the Bible as settlers who first saw the place thought that it was The Garden of Eden. Here, you will be greeted with terraced rice paddies, springs and small rivers. Other than the lovely sights, Adams is also known for Bugnay wine, which has a sweet flavor to it. Another attraction is Lover’s Peak, which offers really great sunrise views. When you’re looking for nature at it’s best, you could never go wrong with these three Philippine destinations.